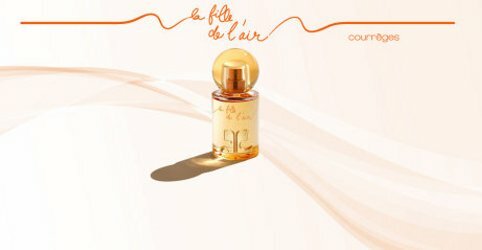 French fashion house Courrèges will launch La Fille de L'Air, a new fragrance for women, this summer. La Fille de L'Air was developed by perfumer Fabrice Pellegrin. The notes include bergamot, neroli, orange blossom, neoprene accord and musk. Courrèges La Fille de L'Air will debut in June, and will be exclusive to Air France flights before going into wider distribution later in the month. It will be available in 50 and 90 ml Eau de Parfum. Neoprene accord is a new one! Sort of…but it’s just a form of rubber, and there are indeed perfumes that have rubber-y accords (Bvlgari Black, among others). And there are vinyl accords (Yves Saint Laurent Parisienne), which in perfume terms are probably quite similar!